How's the world treating you? I'm not going to talk about the beautiful spring weather today because someone told me they are having snow this week after several days of gorgeous weather. We'll just talk about something else. 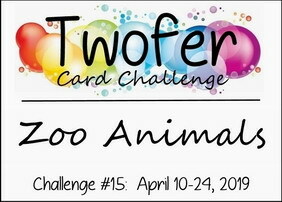 This month over on the Twofer Card Challenge, our prompt is Z🐒🐘 ANIMALS! I chose an adorable zebra from Paper Smooches for my zoo critter. In addition to the baby zebra, for my encouragement card I also used an ancient unmarked grown-up zebra foam stamp. I stamped him onto a dream cloud die from Simon Says Stamp and popped the cloud on the upper panel. The sweet NBUS sediment is from Elizabeth Craft Designs. Simon Says Stamp Wednesday: Animal antics. 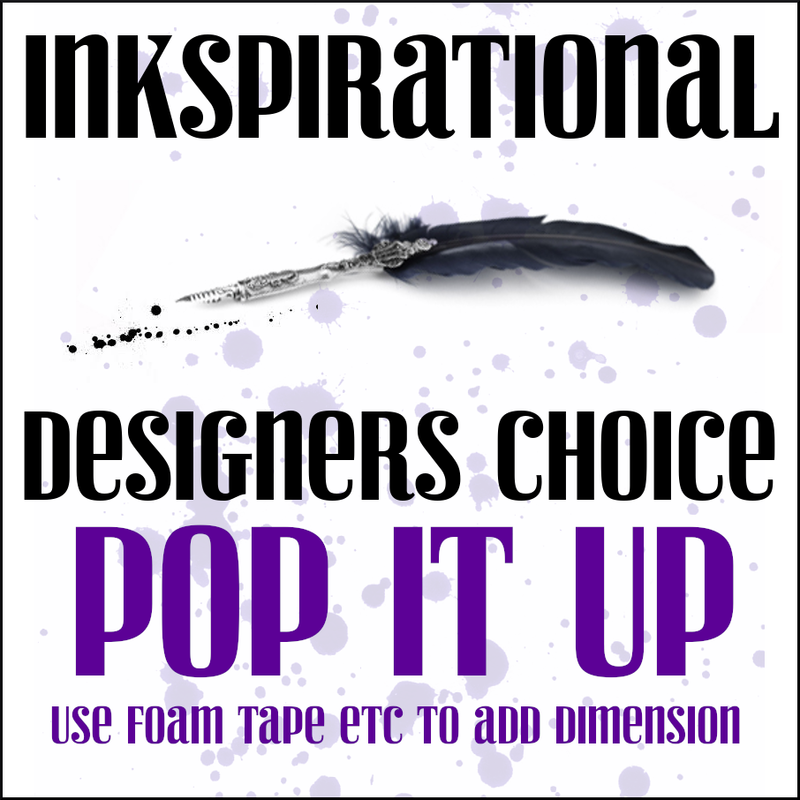 Use no designer paper. Mix It Up: Black and white plus one color. Use Your Stuff: Flora and fauna. For my second design, I made a Christmas card by giving the little zebra a Santa hat from Memory Box, cut from fun foam. The NBUS stitched half circle die is from MFT, the sediment is from The Ton, and the borders are tape from Washi. QACAS! He looks like the grandtwins looked a few years ago when we made them wear Santa hats on Christmas eve! In that same post I offered my "boo-boo" card to anyone left-handed because I put the front on the back. What I should have done is said that I've made that mistake eleventeen hunnert times before in 17 years of making cards. I feel very blessed to have friends like you who think I'm perfect and it's never happened to me before now! Mwah! The winner is Mia of Craftartista! Congratulations, Mia! I'll be in touch to get your address. Finally, there were 40 of you who asked to be included in the draw, so as promised, I have personally donated $80 to the Epilepsy Foundation. Just click on the link if you would like information about making a donation yourself. Thank you to everyone who commented on that special post! I look forward to seeing what you make for us this month! Zoos have exhibits with just about every non-domesticritter in the world, so you have a wide range of stamps and dies to choose from! 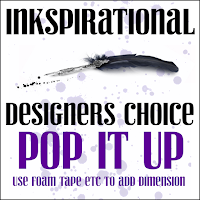 Please visit the Twofer blog to read the rules and info and to see what our fabulous Guest Designer Susan and the very talented Design Team have made to inspire you! Gorgeous cards. Love the zebra with Santa's hat! Hi Darnell. I love your beautiful zebra cards. Great designs. Please send me an email and I will give you my home address. Hugs, sweetie. Have a wonderful day. Two gorgeous cards Darnell, I love the zebra with the Santa hat on. These cards just made me smile Darnell! Hammy is having to work for his Easter egg this year I see....! Adorable zebra cards! Congrats to the winner! Congratulations to the winner! Have fun with your new goodies(once they arrive).Darnell, these cards are fabulous. I adore the young zebra image from Paper Smooches. So cute! The dreamer card is adorable. Yep...we were near 80 yesterday and have a blizzard warning today. Temps dropping to the 30s...which is slightly better than the 20s they had been predicting. Cyclone bomb round 2! 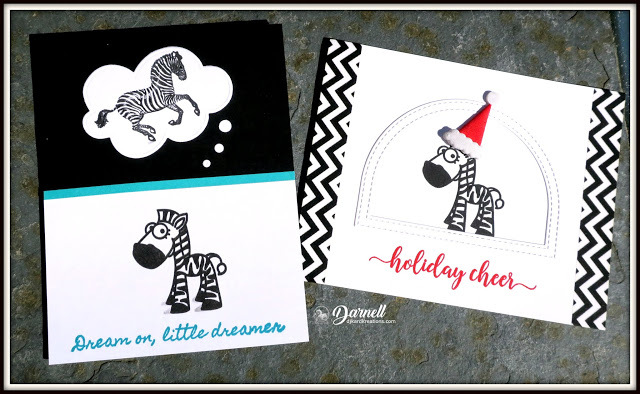 Love the cards Darnell, the little zebra is so cute and both designs are very striking! I like the use of the 'real' giraffe on the first one ... and the little zebra looks so fetchin in his Santa hat on the second! Congratulation to happy winners and a big compliment to your donation. I love how your mind works, Darnell. That dreaming baby zebra is so cute. On the other had I'm not sure the other one like his hat. Either that or he's thinking "You'd better watch out. . ."
Oh one of my favorite animals! And a sweet one twice and a realistic one! Great take again Darnell!They both look great! Look what you came up with! These are fabulous! Someday I'll learn to make QACAS cards. The zebra is so cute! I love how he's dreaming of being a beautiful grown up zebra on the first card, and he makes the most darling Christmas card with his Santa hat. The paper is perfect! I love both! I think the zebra dream is brilliant. Reminds me how it felt to dream about fame and fortune when I was a kid. Since the black and white is so classic, those touched of vibrant color on both cards really stand out. Wonderful Twofers. Those zebras are so darling. Love the Santa hat on the one. I hope I get a chance to play after Easter. Not sure I can find time before then. Such cute cards, like how you made the zebra into a Christmas card! Twice the giggles today Darnell! I love both of your cards! I'm still smiling : ) I hope to be able to play along with your challenge this month! You have inspired me friend! Very well done Darnell on your donation. Two fabulous fun cards, super images and great designs, especially love the Santa hat. Adorable cards, Darnell. I'll try to enter this time - you are inspiring. Thanks! Sending a hug too from me on a snowy day. I love both of your zebra cards. The young zebra dreaming of being grown up is adorable and so clever. And I love the zebra in the Santa hat. The chevron border matches his stripes perfectly! Great pop of red, too! Oh my gosh, Darnell...your giraffe's are absolutely adorable! I love how you added the cloud speech bubble on your encouragement card and the Santa hat on your Christmas card...so clever and fun! Can't wait to play along, as always! What a wonderful donation to a worthy cause, Dolly! I love this little zebra with his big eyes! The Santa hat is a perfect fit and so is the Washi tape! Two cards and too stinking cute. LOVE the Santa hat on that one. FUN! Your dreamer card is awesome!!! What a cute idea Darnell. And the little fella in the Santa hat is adorable too! That is, hands down, the cutest little zebra I've ever seen. Very clever to give him a thought bubble where he's all mature-like and a Santa hat. I'll have to think about this challenge, and see what I can come up with. And BTW, thanks for not waxing eloquent on your beautiful weather. We've got at least 6" of the white stuff--so far. It's still coming down. Big congrats to Mia for her won!! Enjoy!! Big hugs, have a lovely day! Two really funny card. I want to say to your baby zebra: dreams come true !!! It can't get more adorable than that baby zebra with her big eye lashes batting at the camera! That sentiment matches so perfectly with her thoughts, and I love the color of the sentiment too and the strip of aqua cardstock - such an impact! Same impact on your Christmas card with the pops of red. I love how that chevron washi reflects the little star of the show! Hello to Hammy there in that bowl of name slips. I do hope he doesn't confuse them with other shreddings used for other hamster purposes. as Di would say "you clever sausage!" LOL The dreamer card is too funny and that zebra just makes me smile wearing the bright red Santa hat! 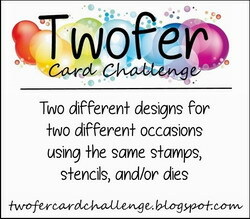 Two great cards for the twofer- and thanks for another fun challenge this month! Have a great week ahead! Such FUN cards Darnell!I just love that santa hat....what a QT! Darnell, your zebra is just darling whether dreaming of greatness or wearing a sweet santa hat. Love both cards. Fab cards. Love the santa hat on the second one. Great to make almost any image a "christmas" themed card! Your creativity in these challenges never ceases to amaze me Darnell - two fabulous cards!! Please tell Hammy he looks wonderful in his Easter Bonnet! Darnell, I adore your cards, especially love the one with the Little Dreamer. My agency is just starting an after-school program for middle schoolers, and this sentiment makes me think of these amazing pre-teens. They have such BIG ideas, hopes and dreams. I love their passion and curiosity. I'll bet your cute little "Zeeb" is passionate and curious. And, because you created him, I know that he also has a generous spirit. Oh Darnell - wonderful cards as always! 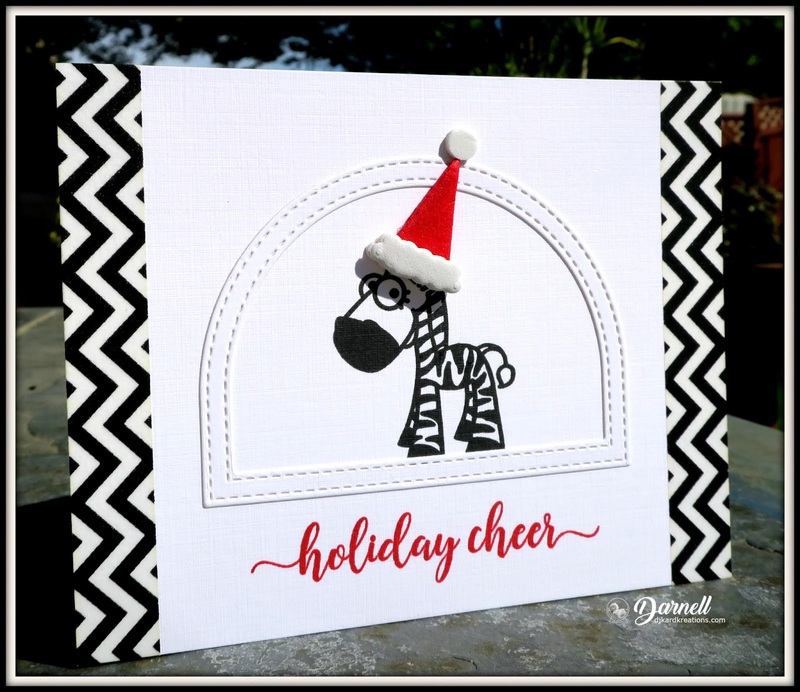 I do so love the little zebra and how you made two very different card using him. And wonderful matching with the washi borders! AND, I do so love that half circle die you used - as always, a lovely post and wonderful cards! Thanks for another fun Twofer challenge, Darnell. Just love your darling zebra cards - really smiled to see that little zebra hoping to be a big stud. And the Santa hat added the perfect touch to the Christmas zebra!! Thanks for not bragging about your weather because, yes, I was caught in another blizzard. Luckily it didn't last long although to have snow, rain, hail, thunder and lightening on the same day was quite weird!! These are so clever and fun! 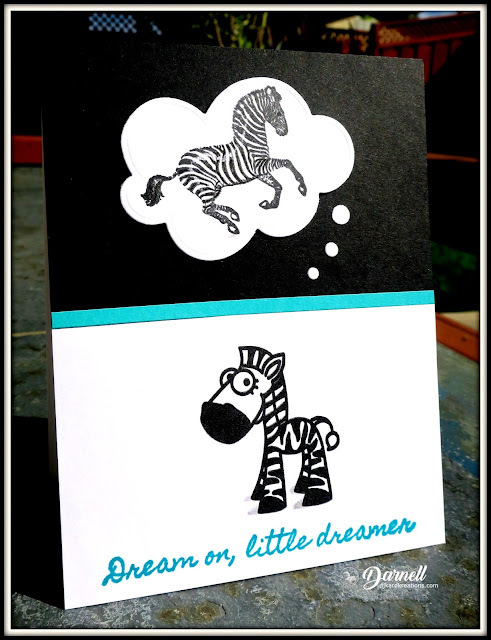 Love the adorable little dreamer zebra! What a wonderful idea for a card! Two fabulous cards Darnell! I love the sentiment on the first card...too cute! Wonderful cards Darnell! They are super cute. What a charming little card you’ve shared with us at Inkspirational. So fun and I love them both! Will definitely try and find mojo during Easter and hopefully will find something suiting in my stash for the Twofer challenge. 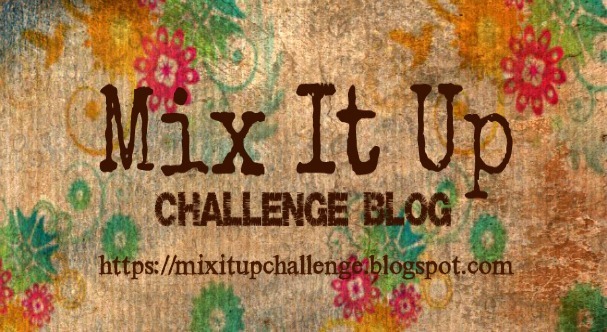 such a simple and a striking card.Thank you for joining at Mix It Up Challenge. I love the pop of blue in the first card but is there any colour combo that beats black and white with a pop of red? I need to get that Santa hat die! I love how it looks in the funky foam!